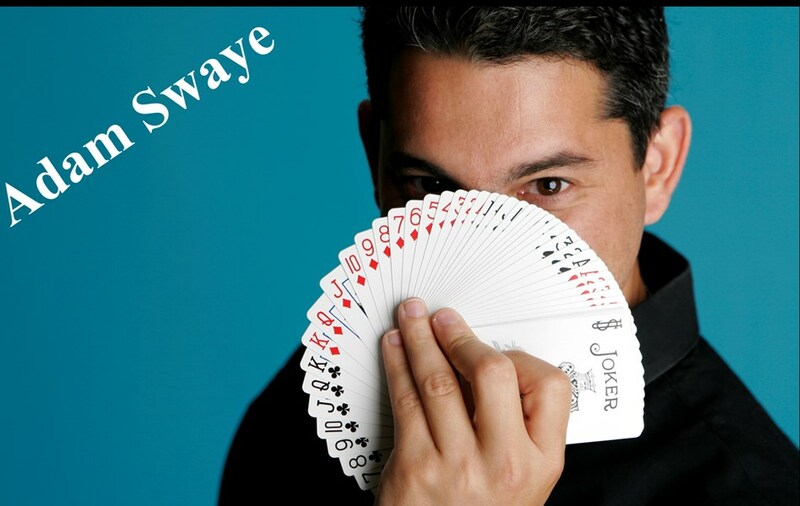 Adam Swaye is an award-winning close up Magician who has been performing his magic for over 30 years. 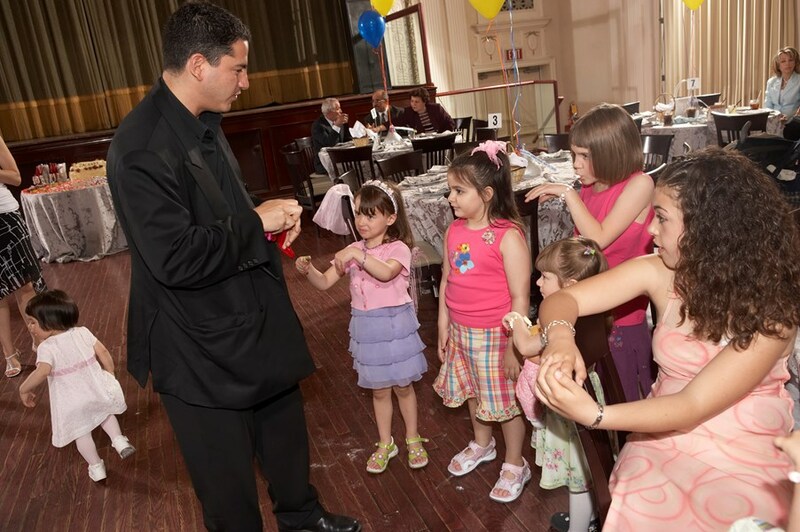 From Casinos and Resorts to Corporate Events and Family Parties. He performs his Magic right under your nose, using items such as Cards, Coins, and whatever items may be around. If you stand to Close he may even take your watch right off your wrist without you knowing. Adam has performed for many companies and events such as; The Toronto Raptors players party, The Toronto Maple leafs, The Toronto Blue Jays, Fallsview Casino, Casino Rama, Casino Niagara, OLG, Woodbine, Law Society of Upper Canada, The Insurance Bureau of Canada, Molsons, Labatt, Ikea, City of Mississauga, City of Burlington, City of Hamilton, Town of Dundas, City of Guelph, Ford, Ford Credit, Salesforce, Linkedin, and many more. 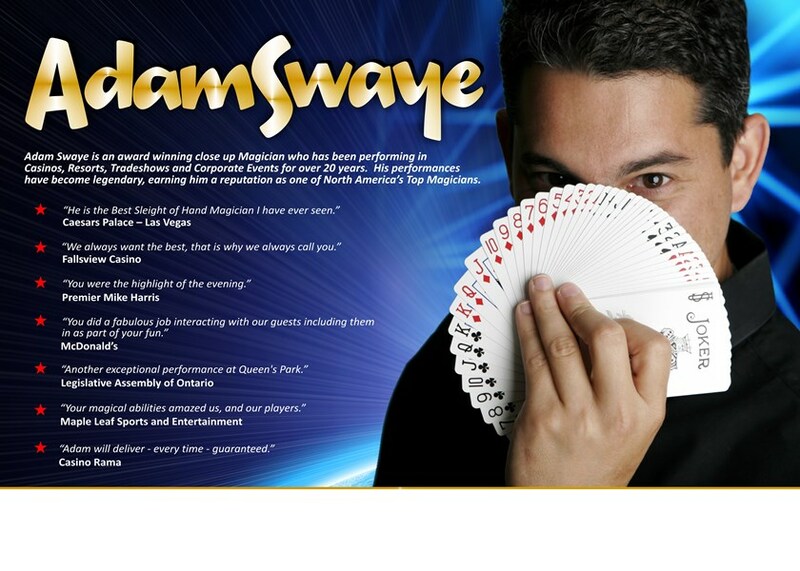 Not only is Adam an award-winning Magician, he also owns and operates Swaye Entertainment, an entertainment company specializing in all types of live entertainment. Give him a call and hear how he can make your event a Success with some of the many other top performers he represents. Please note Adam Swaye will also travel to Oakwood, Downsview, North York, Weston, Willowdale, Etobicoke, Fisherville, Thornhill, Concord, Scarborough, Woodbridge, Maple, Richmond Hill, Markham, Mississauga, Kleinburg, Locust Hill, Brampton, Gormley, Springbrook, Whitevale, King City, Oakville, Pickering, Ajax, Nobleton, Stouffville, Bolton, Brougham, Hornby.